In a country built on the institution of private property, property-owner rights have been under attack. 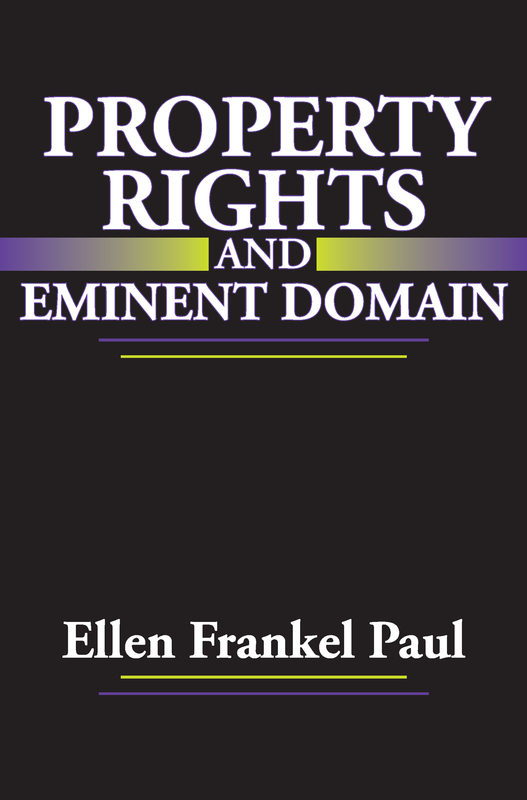 By arguing that private property is a fundamental liberty whose protection deserves the highest priority, Ellen Frankel Paul challenges one of the dominant trends of the past half century: the erosion of property rights via zoning and land use restrictions, carried on by government exercising its "police power" or promoting "the public interest." Paul begins by examining the arguments of environmentalists in support of land-use legislation, and explores a few particularly troubling examples of the exercise of eminent domain and police powers. She traces the philosophical arguments for the two powers as well as their tortuous judicial history, the meaning of property rights and investigates how previous thinkers have defended these rights is detailed, and Paul suggests a more adequate defense for them. In the concluding portion of the book, the very legitimacy of eminent domain is questioned and the author offers recommendations for its reform. This analysis is wide in scope and makes creative use of historical, legal, economic, and philosophic methodologies. It not only gives an account of the present power regulations on land, but also provides an exhaustive history of the development of the law in these two areas and of the philosophical ideas of the thinkers who helped shape this process. This book is distinctive because it places a theory of the just acquisition of property at the heart of the answer to the question of the extent to which governments can rightfully exercise the powers of eminent domain and police. The Right to Private Property: Does It Exist? Where Does It Come From? Is Absolutism Defensible?